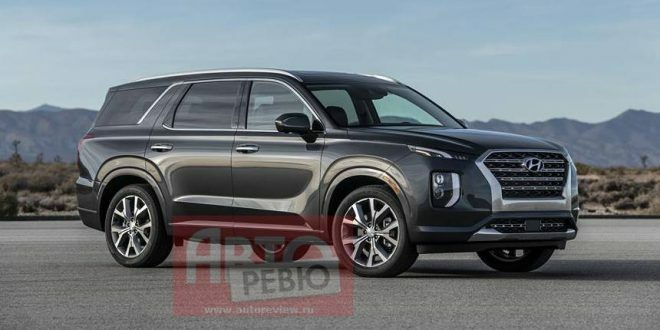 After just confirming plans to reveals its all-new SUV, an official image of the 2020 Hyundai Palisade has leaked. The image gives us at least one view prior to its reveal. The image comes to us by way of Russian car website Auto Review. This appears to be a case of the website just blatantly ignoring Hyundai’s embargo for the images and posting one anyway. It happens. Nonetheless, the Palisade looks like an attractive addition to the Hyundai product portfolio. The styling is clearly based on the Grandmaster Concept the brand showed earlier this summer at a Korean motor show. The styling as a whole is an interesting mix of current design cues, such as the grille design being similar to the Kona, with new cues tossed in. Despite now having a photo of the Palisade, we still do not have a great deal of technical knowledge. It is based on the same platform as the upcoming Kia Telluride, which means it will likely share a 3.3-liter V-6 with it. Hyundai will reveal the new Palisade later this month at the Los Angeles Auto Show.